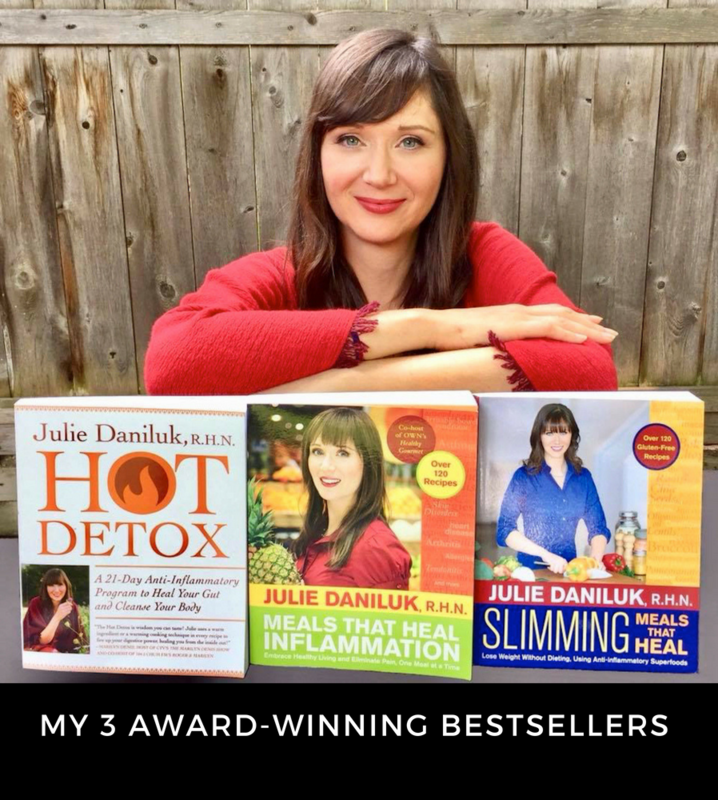 Banish pain, balance your hormones & heal your gut, one-meal-at-a-time with my Award-Winning Books! Are you ready to enjoy delicous, easy-to-make recipes that can heal your body? Join 100,000+ others who have conquered pain, recovered from illness and transformed their health using the information and recipes from my books. YES! I'M READY TO HEAL! Become a food detective to discover the root of your pain, allergies & digestive woes. 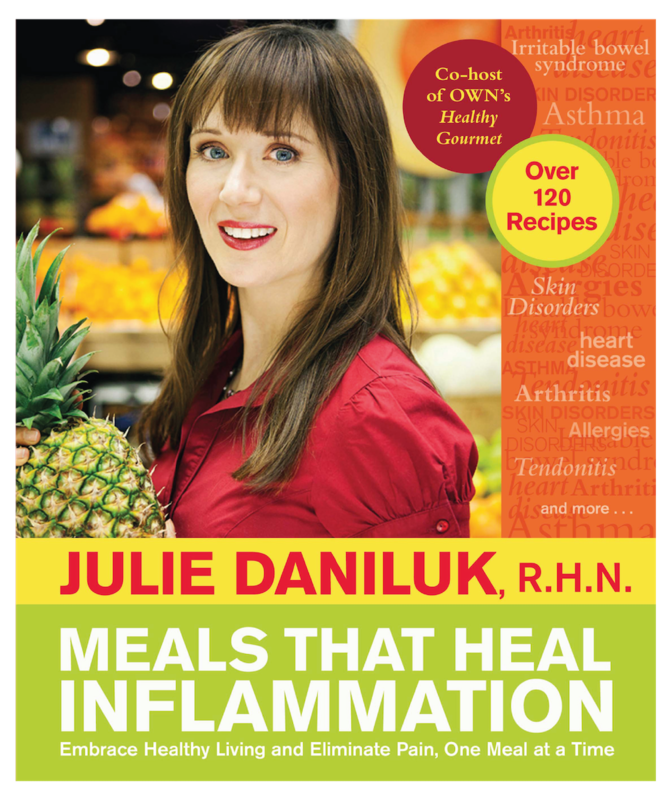 Meals That Heal Inflammation explains how to avoid common food triggers and helps you develop your own anti-inflammatory "Live-It". With over 120 recipes, you'll be set to create delicious healing meals. Now in its 12th printing! Conquer your cravings, balance your hormones & lose weight with anti-inflammatory superfoods. Slimming Meals That Heal examines the connection between hormones, weight balance and the food you eat. You'll discover how to dismantle why you have cravings and what you can do about it. Jump into a gut-healing, body-cleansing, 21-day plan to ignite your digestion with warming foods. Hot Detox outlines fast-action plans (including 3-, 7-, 10- & 21-day menu suggestions), complete with beautiful illustrations and mouthwatering recipes to warm, heal and cleanse your body from the inside, out. 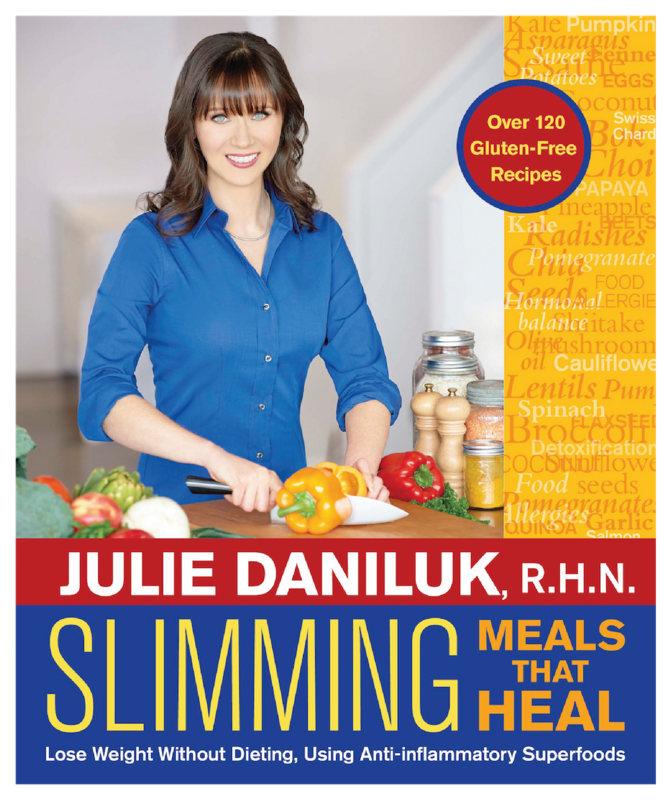 "Like a good friend holding your hand, Julie guides you step by step through the entire health-creating process. Drawing on personal experience and the latest reasearch, she clearly explains what cause inflammation and more importantly, how to permanently eliminate it. Julie provides several whole food, plant-based recipes options that I agree are excellent for pain-free, high-quality living." 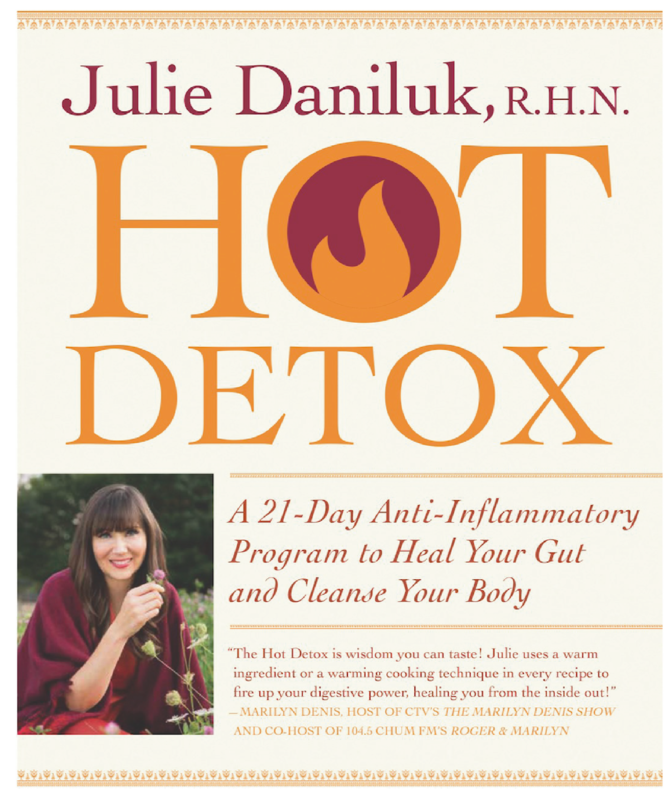 "Julie is so knowledgeable and passionate about food and its power to heal. 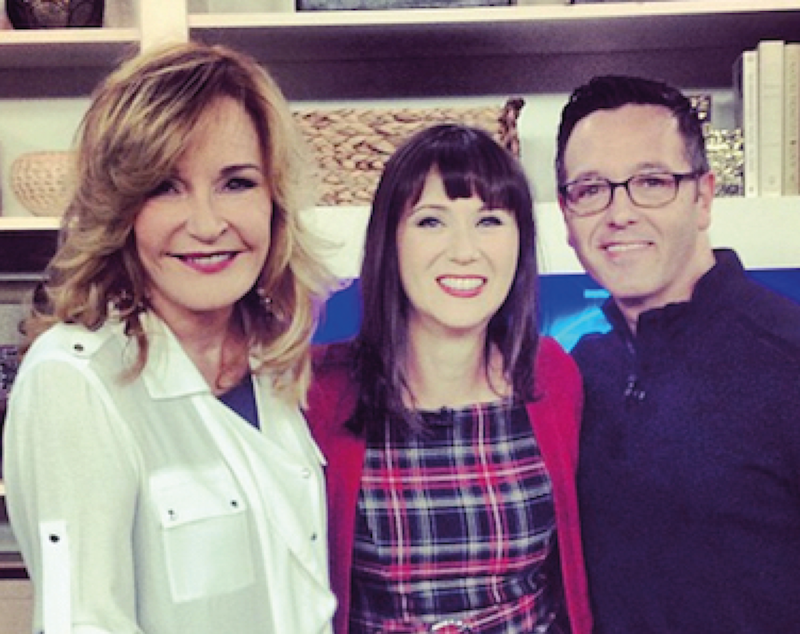 How incredible to have so much of her wisdom (and fantastic recipes!) gathered in one place. A delicious book, an inspiring guide to good health." 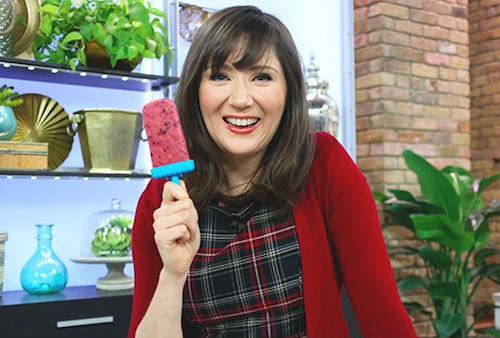 "Julie helps put an end to fad diets so we can build a nurturing relationship with food and ourselves. Yes, food can be delicious AND make you feel incredible, Let Julie lead the way!" Join the Meals That Heal Movement! Get weekly nutritional inspiration, fresh recipes and videos to learn how easy healthy eating can be! © 2019 Julie Daniluk Consulting Inc.
Get Juicy Vitality, before you go! and you'll get Juicy Vitality every Tuesday! ...that's weekly nutritional inspiration, fresh recipes and much more!